Everything you need to know from inside the world of PlayStation. The biggest releases coming your way this month. Travel the broken road when Deacon St. John rides onto PS4 and into a post-pandemic American wilderness teeming with relentless Freakers and desperate survivors. Enter a world of pain with the latest instalment of Mortal Kombat, complete with all the bone-crunching combos and FINISH HIM fatalities that you’d expect from Scorpion, Raiden and friends. Investigate crimes, gather evidence, expose witnesses’ lies and uncover the truth in three dramatic stories, as the rookie attorney debuts on PS4. 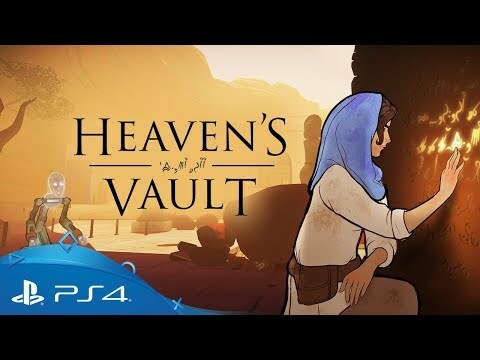 You play an inquisitive archaeologist, aided by a robotic companion, sailing through space to to unravel 5,000 years of ancient history and decipher a lost language. There’s an entire hieroglyphic language to decipher, using a unique puzzle mechanic where each solution will guide the path of the story. As you travel around you'll meet characters with unique personalities. Your relationships depends on how you treat them, as they’ll remember everything you say and do. You can name, pet and feed your bird of prey with custom snacks, dress them up, and even give them a high-five or fist (wing?) bump. Falcon Age is all about defending your homeland and culture against robotic invaders, rebuilding your community and fighting for freedom. Grab your stun baton and get to work. 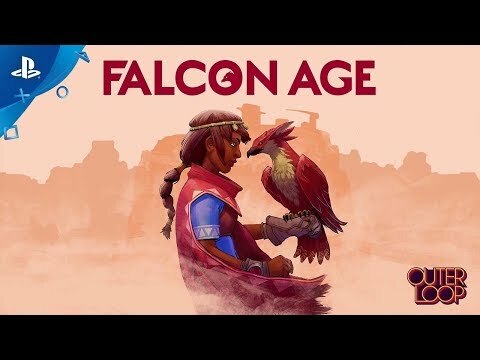 If you prefer to enjoy Falcon Age without worrying about the exhilarating encounters, you can make the combat optional. Take an in-depth look at what's happening this month and read more about the games that matter to you. This world is coming for you, so you better be ready. Find out how you can survive the wilderness when Days Gone roars onto PS4 on 26th April. From rock-hard romps to laid-back adventures, our rundown of unmissable side-scrollers has something for everyone. If you're looking for a family-friendly PS4 game to keep the kids busy through the school holidays, or want something to play together, look no further. There's over 600 games (and counting) ready to play with PS Now, so how do you choose what to start with? Here's a run-down of some of our favourites. Keep up to date with all the latest reveals, announcements and updates. Watch the latest videos and trailers from Bend Studios' open world wilderness adventure. A handful of the latest tweets from our @PlayStationEU Twitter feed. Get the latest updates from our official channels. A selection of the best things coming to PS Plus members this month. In the brutal lands of Conan the Barbarian, only the toughest survive. Forage for resources in a vast open world, build your kingdom and wage war on monsters and enemy civilisations online. Trapped in a crumbling industrial mega-complex and surrounded by robots gone haywire, it’s down to you and your heavy-grade exoskeleton to forage for weapons and blast your way out. Good luck! What’s better than scoring a Victory Royale while decked out in a sweet new outfit and back bling in Fortnite? When the loot is free, of course. Members can bag the Fortnite Carbon Pack at PlayStation Store now. Who says grizzled special forces operators always wear black? This new playlist decks you out in bright pink outfit, glittering trim, rainbow detailing and fierce unicorn headgear as you explode into a mission to rescue a Very Important Teddybear. Switch up your gaming playlist or hear the full soundtrack from some of the biggest games – all on Spotify with PlayStation Music. The most downloaded games from our digital store. What's happening on your PS4? Sign in to My PlayStation with your PSN ID and check out what games your friends are playing – plus check your PSN messages, notifications and trophy collection.